Phillip Island is an Australian island about 140 km (87 mi) south-southeast of Melbourne, Victoria. The island was named after Governor Arthur Phillip, the first Governor of New South Wales, by explorer and seaman George Bass, who sailed in an open whale boat, arriving from Sydney on 5th January 1798. Endless family fun and iconic wildlife, pristine white beaches and hi-octane motor sports, you’ll find it all on a seaside holiday at Phillip Island, just 90 minutes from Melbourne. See little penguins and sleepy koalas in their natural habitat, teach the kids to swim on a quiet bay beach, and soak up all the action at the Australian Motorcycle Grand Prix. The southern and western coasts of the island lie within the Phillip Island Important Bird Area, so identified by BirdLife International because of its importance in supporting significant populations of fairy penguins, short-tailed shearwaters and Pacific gulls. In addition, there is a wildlife park where wallabies and kangaroos roam freely amongst the visitors and can be fed by hand. Seal Rocks, at the western end of the island, hosts the largest colony of fur seals in Australia (up to 16,000). In recent years, other than local population of critically endangered endemic Burrunan dolphins or migratory killer whales, southern right whales and humpback whales are starting to show recoveries in the area long after commercial and illegal hunts by the Soviet Union with the help of Japan in 1970s, and the numbers using the area as nursery are growing rapidly, allowing a rise in hopes to establish commercial whale watching activities in the vicinity of the island. Phillip Island is a tourist destination visited by 3.5 million people annually. The Penguin Parade at Phillip Island Nature Park, in which little penguins come ashore in groups, attracts visitors from all over the world. They come to see one of the few areas where this species of penguin can be seen. Get to know the gateway to Phillip Island, a lively seaside town where fishing and dining options abound and pelicans keep watch along the foreshore. Celebrate all things aquatic in San Remo, home to Australia’s largest shark fishing fleet. Cast a line off the jetty or, for some serious ocean angling, join a fishing charter and head out to sea. Snap up fresh fish and seafood at San Remo Fisherman’s Cooperative, or dine out at a local hotel and have it served up in true gourmet style. Head to the foreshore at noon for pelican feeding time and witness a merry crew of these birds gobble up their own seafood lunch. Soak up the village atmosphere in local cafes and pubs, or visit San Remo Bakehouse for picnic provisions and to satisfy your craving for baked goods. Peruse contemporary artworks and handmade jewellery at galleries and pick up knick-knacks and homewares at shops in town. Looking for some summer fun? Time your visit to coincide with the annual San Remo Channel Challenge, a biathlon event and day festival featuring a swim from San Remo to Newhaven and then a run back across the bridge. Walk in the footsteps of the island’s early inhabitants on a stroll along the cliffs from San Remo to Kilcunda on the George Bass Coastal Walk. Take detours to deserted beaches and bays, passing by Quarry Rocks where stone was quarried to build banks and business chambers in Melbourne. Bairnsdale is the largest city in the East Gippsland region, situated on the Mitchell River which then flows into the extensive Gippsland Lakes system at Lake King. Bairnsdale’s large and busy commercial centre is built around the Princes Highway which opens up into a wide boulevard featuring trees, gardens and a rotunda in the central strip. Landmarks in the commercial centre include the impressive St Mary’s Catholic Church (built between 1913 and 1937), the courthouse in Nicholson Street (1894), the town’s water tower, and a number of historic shops and hotels. Several parks front the Mitchell River, including the park at the old river port behind the post office, offering BBQ and picnic facilities as well as a jetty. Fishing and boating jetties are also located on the west bank of the Mitchell River, just south of the Princes Highway on the road to Paynesville. The McLeods Morass State Game Reserve is a 520 hectare park situated in wetlands, rich in animal life and featuring a boardwalk, birdhide and a number of walking tracks. Access is via Saleyards Road. Bairnsdale is at the southern end-point of the Great Alpine Road which traverses the Great Dividing Range, and passes through the peaceful village of Bruthen, ascends to the remote Snowy Mountains town of Omeo, the alpine resort of Mount Hotham, the all year round holiday town of Bright, and finally ending up at the large north-eastern Victorian regional city of Wangaratta, over 300 kilometres away. Boasting Australia’s largest inland network of waterways, Lakes Entrance has long been a popular Gippsland holiday spot, especially for young families. 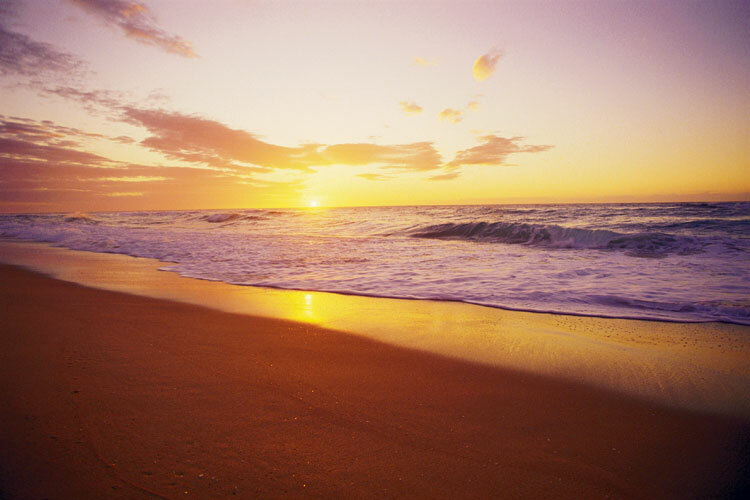 Lakes Entrance is situated on the edge of Ninety Mile Beach where the Gippsland Lakes meets the Southern Ocean. The town is well equipped with accommodation, services and facilities for those enjoying their coastal getaway. Cross the footbridge to the popular Ninety Mile Beach, patrolled by lifesavers during the summer months to enjoy the pristine surf beach. Explore the lakes in a kayak, join a boat cruise or hire a paddleboat and hit the sparkling waters. Get the gang together and join the local and visiting boating and fishing enthusiasts who flock to Lakes Entrance all year round. Choose from a wide range of camping spots that surround the calm lake waters and line the shore of Ninety Mile Beach. Lakes Entrance is renowned as a seafood capital due to the large number of fishing trawlers operating in the area. Catch your own fish or savour the catches from fresh seafood shops around town. Take to the waterways on a local cruise, fishing holiday or eco tour and make the most of your time in the region. See places only locals know about, find the best spots to cast a line, and minimise your carbon footprint while you travel. Warragul is situated in West Gippsland, just over 100 kilometres south-east of Melbourne, and between Drouin and Yarragon. Warragul’s large commercial centre stretches along the main thoroughfares of Victoria Street and Smith Street. Queen Street, which was the original route of the highway through town before it was bypassed, features historic buildings with grand facades including the old Shire Hall which now houses the Historical Society Museum and offers displays depicting local history. 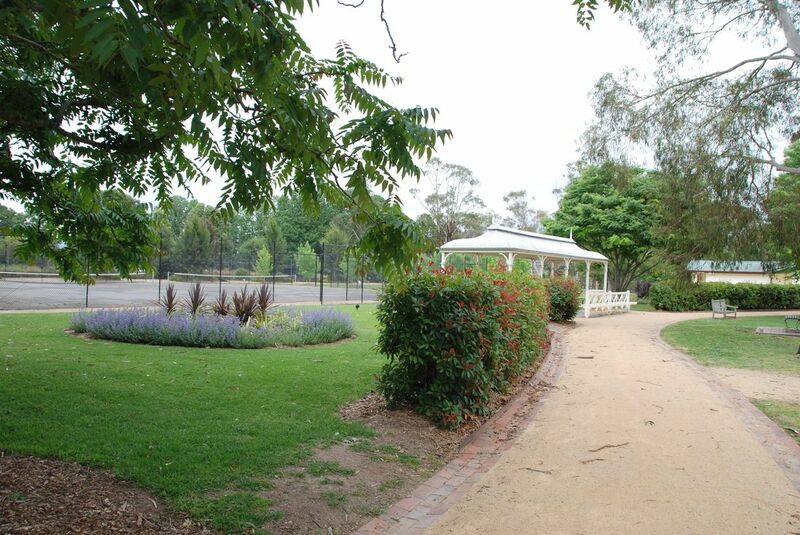 A number of attractive gardens and parks are located in Warragul, with the most scenic being Civic Park. Situated in a valley, Civic Park features a large lake, rotunda, picnic shelters, walking tracks and a waterfall. Overlooking the park are the local government offices and the West Gippsland Arts Centre which is a popular venue for performance and visual arts. Warragul is home to some of Victoria’s richest agricultural land as well as being a major supplier of milk for Melbourne. A number of festivals and events are centred around the town’s agricultural and dairying industry, including Farm World and Harvest of Gippsland. The rolling green hills of the countryside surrounding Warragul can be appreciated with a scenic drive north along Brandy Creek Road. Following the road further north to Neerim South provides access to the Tarago Reservoir and surrounding park which offers a walking path along the bottom of the dam wall with picnic and BBQ facilities. The Gourmet Deli Trail consists of a network of farms, vineyards and outlets selling local produce and smallgoods, and covers much of the area surrounding Warragul. Foster was the site of a small gold rush in the 1870s and there are memorials to commemorate the town’s gold mining history located in Pearl Park which is a lush reserve that surrounds the Stockyard Creek and features BBQ facilities and a footbridge. Across the road from Pearl Park is a historical museum (the town’s former post office from 1890 to 1975) which features displays of the region’s gold, timber and dairying history. Next door is the Stockyard Gallery which includes a visitor information centre, craft shop and exhibitions of art work. The Foster North Lookout, on the South Gippsland Highway 6 kilometres north-west of town, provides good views over Corner Inlet with the mountain ranges of Wilsons Promontory providing an attractive backdrop. The Great Southern Rail Trail is accessible at Foster and it consists of a walking, cycling and horse riding trail which passes through a several small towns from its start at Leongatha. Inverloch is an attractive seaside resort and fishing port, located east of Wonthaggi and across the waters of Anderson Inlet from the holiday town of Venus Bay. Inverloch’s main commercial centre is centred around A’Beckett Street and extends into adjoining Williams Street, Ramsey Boulevard and to Reilly Street where a supermarket is located. The town itself sits on the coast at the mouth of Anderson Inlet, a protected bay where the Tarwin River enters the Bass Strait. The shallow estuary creates a stunning turquoise colour. The beach boasts a large expanse of soft sand and is backed by low grassy dunes. At low tide you can stroll around the western headland to reach the surfing beaches. Inverloch’s main foreshore reserve, known as The Glade, extends from the shops right down to the beach at the entrance to Anderson Inlet. Head west along the coast from there to several sandy beaches and rocky outcrops with shady picnic areas on the foreshore. Further west, along Surf Parade, is the Inverloch Surf Life Saving Club which presides over the town’s surf beach. Heading east along The Esplanade from the town centre leads to safe swimming and boating areas, a jetty, boat ramps and foreshore parks. Not to be missed is the 12 kilometre scenic Bunurong Coastal Drive from Inverloch to the seaside community of Cape Paterson, fronting Bunurong Marine Park. Regarded by some as a mini version of the famed Great Ocean Road, this coastal route offers spectacular views, untouched beaches and interesting natural attractions which visitors can stop and explore, such as Eagles Nest, Twin Reefs, Shack Bay, The Caves and Flat Rocks. Wonthaggi is located in South Gippsland, several kilometres inland from the coast and between the seaside towns of Kilcunda and Inverloch. Wonthaggi has a thriving and attractive commercial centre, concentrated around Graham Street and extending into nearby Murray Street and McBride Avenue which is lined with Norfolk pines. At the corner of McBride Avenue and Murray Street is the Wonthaggi Hotel. Licensed in 1914, the hotel displays at its entrance the giant jawbones of a 23 metre whale that washed up on a local beach in 1923. Several attractive reserves and parks can be found in Wonthaggi. Apex Park, located in Murray Street, displays a mine poppet head and is the site of Wonthaggi’s former railway station which is now occupied by the Wonthaggi Historical Society and used as a museum. The section of McBride Avenue south of Watt Street opens up into a wide boulevard with vast expanses of lawn along its centre. These tree-lined lawns include a war memorial and provide elevated views down towards the town centre. Guide Park, located off the western end of Graham Street, has picnic areas, BBQs and an adventure playground. The Wonthaggi Wetlands Conservation Park is situated just north-west of the town’s commercial centre and provides a network of walking tracks and boardwalks around lakes and through native vegetation. Access is available from either South Dudley Road or the western end of Korumburra Road. A close and easily accessible part of the coast to Wonthaggi is the residential settlement of Harmers Haven, about 6 kilometres south of town off the end of Berrys Road. There are steps from the reserve at the top of the cliffs down to the sandy beach below where there are some rock formations. Just over a kilometre eastwards is Wreck Beach where a pathway from the car park leads to a lagoon wedged between sand dunes which overlook the ocean. Around 8 kilometres south-east of the Wonthaggi town centre is the small seaside community of Cape Paterson. A hotel and a few shops can be found at the junction of Surf Beach Road and Market Place. Near the eastern end of Surf Beach Road is Cape Paterson’s sheltered bay beach which consists of a sweeping stretches of sand, a rock pool for safe swimming and a boat ramp. Towards the western end of Surf Beach Road is the Cape Paterson Surf Life Saving Club and a surf beach which is bordered by coastal rock features. Cape Paterson marks the start of the 12 kilometre scenic coastal drive to Inverloch which passes alongside the Bunurong Marine Park and offers spectacular coastal views. Begin your boating journey in Sale and explore the vast Gippsland Lakes and beyond. The Port of Sale provides access to the entire lakes region, eventually connecting to the ocean at Lakes Entrance. Take time out to relax at the Port of Sale precinct with its selection of cafes and restaurants, or check out the local artistic talents at the renowned Gippsland Art Gallery. Spend an afternoon discovering Gippsland’s military history at the Gippsland Armed Forces Museum. If you’re lucky, you might see the famous RAAF Roulettes aerobatic team in action in the skies over the city. Hit the boardwalks and explore the grasses and red gum woodlands of Sale Common. Wander through the tranquil grounds of the 150-year-old Sale Botanic Gardens, which owe their botanic heritage to Baron Ferdinand Von Mueller, the first state botanist. A short drive from Sale is the nearby Tarra Bulga National Park, a cool temperate rainforest boasting lush walking trails, abundant wildlife and waterfalls. Yarram (formerly Yarram Yarram) is in Victoria, Australia, in the Shire of Wellington, located in the southeast of Gippsland. The town is the regional centre of a prosperous farming district. It has a vibrant community, which remains dedicated to a strong sporting culture. The town also has a strong tourism industry, with Tarra Bulga National Park, Port Albert, Ninety Mile Beach and Agnes Falls all being within a 30 minute commute from Yarram. The town is located about one and a half hours from Wilsons Promontory. Nearby towns include Welshpool, Alberton and Foster. The term ‘Yarram Yarram’ is thought to be an Aboriginal phrase meaning ‘plenty of water,’ however it is not known which language group the name is taken from. Yarram is known for its proximity to Ninety Mile Beach, Port Albert, neighbouring Tarra-Bulga National Park and heritage architecture in its Main Street, including the historic Regent Theatre. The town has an Australian Rules football team competing in the North Gippsland Football League. Yarram is the home of several former AFL footballers, including Royce Vardy and Anthony Banik (Richmond Tigers) and Andrew Dunkley (Sydney Swans).Current AFL players from the town include Josh Dunkley (Western Bulldogs), Nathan Vardy (West Coast Eagles) and Jed Lamb (Carlton). Golfers play at the course of the Yarram Golf Club on Old Sale Road. Yarram hosts an annual eisteddfod every August showcasing the area’s artistic talents in music, speech and drama. The town has a secondary college (Yarram Secondary College), a public primary school (Yarram Primary School) and a catholic primary school (St Mary’s Primary School). Visit the charming port town of Port Albert for first-class fishing and stay for a fascinating history lesson. The original gateway to Gippsland, Port Albert is Victoria’s first established port. From the mid-1800s, Port Albert was the supply port for Gippsland’s pioneers until the completion of the Melbourne-Sale railway in 1878. It has berthed ships from Europe and America and welcomed thousands of Chinese on their way to the goldfields. More than 40 Georgian and Victorian-style buildings still exist in the town. Korumburra is located in the scenic rolling foothills of the Strzelecki Ranges in South Gippsland, west of Leongatha. The town was an important black coal mining centre in the late 1800s, but as that industry declined, Korumburra turned to dairying due to its fertile soils and reliable rainfall, allowing cattle to graze on rich, green pastures all year round. Burra Foods operate a large factory in Korumburra, producing a range of dairy products. Korumburra’s shopping precinct primarily stretches along the wide boulevard of Commercial Street which offers an attractive backdrop of green hills. More shops extend along adjoining Bridge Street and Mine Road, while the local supermarket is accessed via South Railway Crescent. There are several parks and reserves located within the town. Off Bridge Street is Korumburra Botanic Park where visitors can enjoy pleasant areas of lawn in a semi-bush environment with a large variety of trees. Olsen’s Walk follows the banks of Coalition Creek through the park and across several footbridges. Coleman Park, in Queen Street, has a playground, outdoor pool and shady picnic areas. One of Korumburra’s main attractions is Coal Creek where you can step back in time at this historic village and park which re-creates life in South Gippsland during the pioneering days of the late 1800s and early 1900s. Korumburra is centrally located to a number of attractions in the area including the picturesque Strzelecki Ranges and also Wilsons Promontory National Park which is 75 kilometres away via Leongatha and Meeniyan. A drive north along the road to Warragul passes through lush scenic countryside, with a detour along Fairbank Road and past the tiny township of Arawata leading to Lancey’s Lookout which provides panoramic views over Western Reservoir. Leongatha is located in a rich dairying region within South Gippsland, between Korumburra and Meeniyan. Leongatha offers a large commercial centre, servicing its local population and the surrounding smaller towns. A good selection of shops extend along both the wide boulevards of Blair Street and McCartin Street. Where these two roads meet are some of Leongatha’s oldest buildings including the post office (built in 1887), court house (1912) and Mechanics Institute (1912) which now serves as a local history museum. The Memorial Hall was built between 1925 and 1926 and part of it functions as a community art and craft gallery. Leongatha’s long agricultural heritage is underscored with the Murray-Goulburn Dairy (Devondale) having a factory just north of the town centre. It is the largest co-operative in the country, producing milk-based products for Australian and overseas markets. 9 kilometres north of town is the Firelight Museum which displays a vast collection of antique lamps and firearms, many of which are several centuries old. Leongatha marks the start of the Great Southern Rail Trail. Beginning just south of the Leongatha railway station, it consists of a walking, cycling and horse riding trail which covers much of the distance south-east to Foster, and passes through a several small towns which offer visitors refreshments and attractions such as wineries, galleries and antique shops. Scenic views of Wilsons Promontory National Park are enjoyed from the trail close to the Foster end. Stop off on your journey through central Gippsland and visit the historic town of Moe at the western end of Latrobe Valley, home to beautiful 19th century buildings and heritage sites. Step back in time to the 1850s and visit Old Gippstown, Gippsland’s Heritage Park. Stroll along the streets with authentic old buildings, horse-drawn carriages, agricultural machinery, and a general store. Walk along the Moe to Yallourn Rail Trail taking in the diverse sites of the bushland, lakes and distant mountain views, as well as the imposing Yallourn Power station. Enjoy the scenic walks of the Edward Hunter Bush reserve or visit the nearby Old Brown Coal Mine Museum in Yallourn North. The town offers good shopping and dining, with nearby bushland and lakes providing great recreational activities for visitors. Moe also serves as a gateway to the historic goldfields at Walhalla and the snowfields at Mt Baw Baw and Mt St Gwinear. Head to the heart of the Latrobe Valley and discover Victoria’s energy centre at Morwell, situated 150 kilometres east of Melbourne. Visit renowned regional art galleries and cultural centres, walk through the famous rose garden and explore the surrounding natural attractions. Take a stroll around Morwell’s beautiful Centenary Rose Garden that forms the western entrance to the town’s business district. Proudly showcasing over 4000 bushes, including more than 260 varieties in 110 beds, the Rose Garden is one of the finest in the southern hemisphere and is now listed in the World Federation of Rose Societies. The garden stretches across four acres and is cared for by volunteers from all areas of the Latrobe Valley and beyond. Morwell is home to one of Gippsland’s major cultural facilities, the Latrobe Regional Gallery. Established in 1970, the gallery’s permanent collection is made up of predominantly contemporary Australian Art, post 1970s. Stroll the gallery and see works by Jessie Trail, Noel Counihan and Jan Senbergs, check out the touring exhibitions and get involved in the gallery’s special events.